Initially, I thought it was the sweetest thing, until my mama brain really dissected that last sentence. This is my favorite mama. How awful for a 4 year old to have known more than one mama. I am his “favorite”, but I wasn’t his first. There was his biological mom (his belly mama), then (according to his recollection) two other foster moms. I am mama #4. Three other women were responsible for my child making his way to me. I am grateful to them and for them. Adoption is rooted in loss, let that never be forgotten. But isn’t it beautiful to know that the Lord provides redemption through adoption. 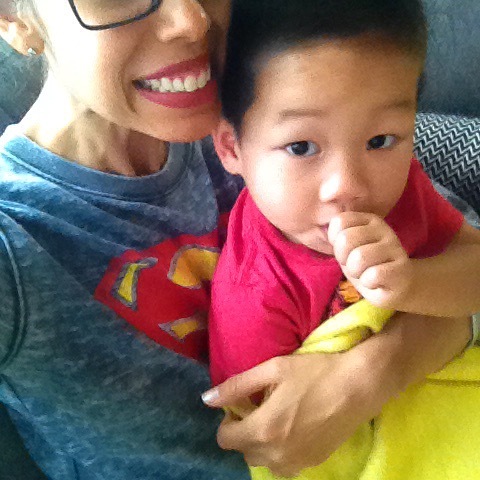 Each of those three other mamas were predestined to care for my son during times when my own heart ached for him. I pray that each of those mamas somehow knows that his fourth and final mama loves him more than she loves herself and that she is grateful for their actions every single day. When considering adoption, one must always expect the unexpected. Yup. I have yet to find the magical adoptive mom who floated quickly and happily along in her adoption without running into a single hiccup. Boy, do those hiccups come! They come in the forms of documents going missing in the mail or that physicians ignoring your requests to complete extra medical forms. Hiccups can come from missing an initial on an important item… or forgetting to include a payment! I encountered so many hiccups during my first adoption that I thought I was the star in some cruel slap-stick adoption comedy! And with one successful adoption under my belt now, I’m praying to encounter less hiccups this time around. But hiccups are only one of the many “unexpecteds” to expect during adoption. For example, we’re currently in the LOI (Letter of Intent to Adopt) and home study update phase of our adoption. And although it’s only been about 18 months since doing all of this for Kai’s adoption, I completely forgot the amount of time and effort that it takes! How did I forget this?! And the sense of urgency that seems to completely control your body and mind once you’ve identified that your child is living on the other side of the world away from you. Your little hands can’t type all of the emails and forms fast enough to get your baby home! And who on earth expects to fall completely in love with someone you’ve never met simply by looking at his/her photo?! Would you ever imagine that a giant hole somehow grows in your heart once you see your baby’s face and only he/she can fill it? It’s a crazy emotional overload, I tell you! But the unexpecteds are also amazing. They come in the form of new friendships with adoptive moms. They come in the form of a donation check from an old friend in the mail. They come in the form of an encouraging email from a stranger. They come in the form of a “hang in their” gift from an adult adoptee. Then they come in the form of traveling to your child. And they come in the form of holding your baby in your arms for the first time. And they come in the form of your heart healing. Yes, expect the unexpected. Praise God that we are so finite and that His ways are so majestic. If you’ve landed here, then you have at least some vague interest in adoption. Perhaps its something you haven’t really considered personally, but you’ve somehow found yourself following a few adoptive moms on social media and are interested by their stories. Maybe you’re ready to jump head first into the adoption pool, but your spouse hasn’t even put his/her swimsuit on yet. Or maybe you’re in the middle of an adoption or you’re an adoptive parent already. Whoever you are and however you stumbled here, I I have a challenge for you today! I want you to check out these sites for a few reasons. First, to see the sheer quantity of waiting children. Second, to see how minor (or sometimes major) the special needs of these children are. Third, and most important of all, to see their faces! I can throw out statistics to you left and right about how many children are left orphaned worldwide, etc. but no statistic could break your heart the way the faces of these children can. They aren’t stats, they’re kids! And every child deserves a family. Perhaps adoption is not appropriate for you at this present time, but maybe it is. Maybe you just need someone to give you a gentle nudge towards the adoption path. Maybe you’re interested, but you don’t know where to start; start here! Maybe you don’t want to adopt, that’s fine too, but you can still pray for waiting children or share this post with someone you know who is interested in adoption. that all obstacles between that child and his/her forever family would be minimal and that God would be glorified even through those obstacles! One of my favorite adoption quotes is by a pastor named David Platt, it reads: Orphans are easier to ignore before you know their names. They are easier to ignore before you see their faces. It’s easier to pretend they’re not real before you hold them in your arms. But once you do, everything changes. That’s it. That’s my challenge, please take it. If you choose to join this challenge, leave a comment below or let me know on Instagram (@leftylex) and let me know the name of the child and which site he/she is on. Let’s commit to a full two weeks, so encourage and remind one another to be steadfast in your prayers. My son was once one of these waiting children, and I have received several emails from families who prayed for him for months on end. What an amazing gift! Oh, adoption costs. The myths that grow around this topic! We always get the, “Oh, isn’t adoption really expensive? !” question. And I know that behind that question people are secretly wondering just how much money your family makes. Visions of celebrity adoptive parents come to mind, so they think that all adoptive parents must be rolling in the dough. Not in our case, I promise! The answer in short is, yes, it’s expensive but it’s broken over many small (and some not so small) expenses. You aren’t expected to sit down a write a check for $30K at the beginning of the process. That would be rough and likely exclude 90% of hopeful adoptive families. I receive so many questions regarding the cost of adoption and cost misconceptions, that I will do my best to post our ongoing expenses with our current adoption. I want to do this to encourage those of you who are considering adoption but are scared of the high cost. It’s not easy, but it’s doable. If you want something badly enough, you find ways to get it. I hate to be insensitive, but I always laugh when people say that they’d love to adopt, but the cost is just too much. Yet, those are the same people who drop money on designer labels, getting mani/pedis weekly, can’t live without their daily Starbucks, etc. There are ways that you can cut lifestyle costs. It’s not glamorous and you may have to look like a tight wad for a while, but it’s only for a season and it is manageable. Don’t let the cost of adoption be a cop out. If you really want to adopt, then do it. There are plenty of grants and adoption loans that adoptive families are eligible to apply for once their home studies have been completed. And there are always fundraisers! You’d be amazed at how generous even strangers are when they find out that you’re trying to grow your family through adoption. Trust me! As you can see, not all adoption expenses go directly to your adoption agency and even fewer go to the country that you’re adopting from! I’ll throw out some real numbers here and say that our orphanage donation for Kai was about $6K and our total adoption was over $30K. These countries aren’t getting rich off of adoption, folks! Most of the adoption fees go to your agency (of course, your social workers deserve a salary too! ), training, the US government (! ), and other miscellaneous third parties (livescan, etc.). Checks get sent to many places, not just one. Hopefully this helps clarify the misconception about adoption costs a bit. And hopefully this helps shed some light as to how adoptive parents can actually afford adoption; many little fees, not one giant fee. *Note: I’m speaking strictly from an international adoption point of view. The fees to complete a private domestic adoption or a foster-to-adopt adoption differ greatly! If your income isn’t great enough to satisfy the international adoption qualifications, then adopting through the foster care system might be a great option for you. Adoptionese: We wanted to boomerang ASAP and were just cleared by our LL SW. Our HS SW is coming to do our update on 5/22 with Kai’s next post-placement. We’re shooting to be DTC by June, but hoping to be LOI in a couple of weeks because we think we found someone on the SN boards! So, hoping for a quick PA and the dreaded LOA. Lord willing, we’ll have TA and be in GZ before mosquito season! 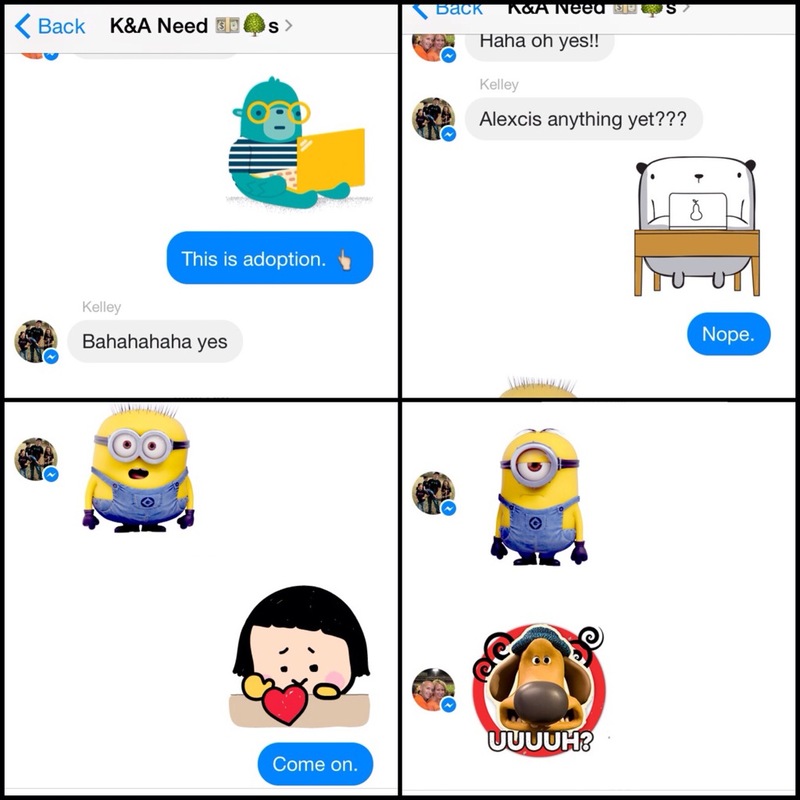 Regular Joe Translation: After Kai’s adoption, we knew that we wanted to adopt another as soon as possible. We reapplied to Lifeline Children’s Service, our adoption agency, and were just given clearance by our social worker! 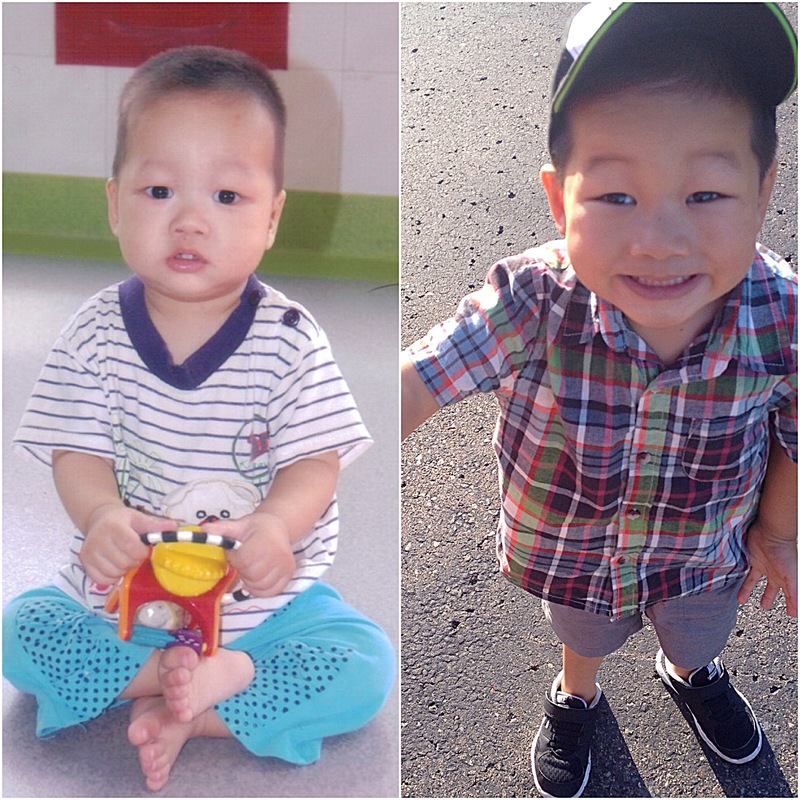 Now we need to refresh our adoption documents that were used with Kai’s adoption. So, our home study social worker is scheduled to meet with us on 5/22 to update our home inspection, interviews, etc. on the same day that she’ll be doing Kai’s 6 month post-adoption placement visit. We’re hoping that all of our home study updates, references, background clearances, etc. will be ready to send to China by June. But, as all adoptive moms do, I’ve been obsessed with browsing the special needs waiting children boards and we think we found our Lok! We’re hoping to submit our Letter of Intent and corresponding paperwork in a couple of weeks. We’re also hoping for a quick Pre-Approval after our paperwork is sent and hoping that our Letter of Acceptance wait won’t be too long! Lord willing, we’ll have Travel Approval to schedule our flights to China and will be at the US Consulate in Guangzhou before next summer! See the difference?! Thank God for acronyms and jargon. Well once you understand it, that is. 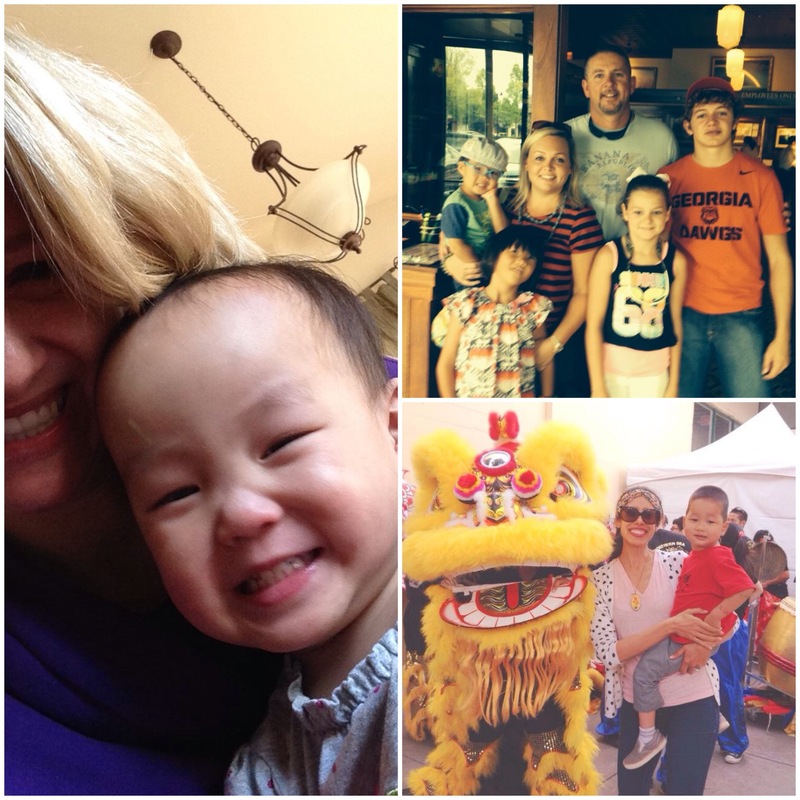 Since I only have first-hand experience with a Chinese adoption, I’ll clue you in on our jargon. Each country has its own requirements, so terms that we use for China may or may not be used in Korea, etc. adoptions. But all international adoptions will be much more similar in style to each other then they would be to domestic adoptions. We are, after all, dealing with two countries… and the dreaded Hauge! Dossier: a collection of an insanely crazy amount of personal documents, writing, financials, photos, criminal clearances, medical reports, homestudy, etc. This takes forever to finally make ready. Whew! Clear as mud, right? Hopefully this was a teeny bit helpful. I’ll be referencing these terms in upcoming posts, but I’ll try to include their snippet definition whenever I use them. There’ll be a quiz in the next post, so I hope you took notes!